First things first, because the main thing is keeping the main thing the main thing. Recognising, respecting, and submitting to God’s order is essential if we want to experience and enjoy the life in all of its fullness that he has planned for us. When something is out of order it is broken. The enemy of our souls wants to create disorder or to exploit disorder that already exists in our lives, to exploit places of brokenness. 1 Now the Spirit expressly says that in latter times some will depart from the faith, giving heed to deceiving spirits and doctrines of demons. Remember, the Holy Spirit is the main thing. You can do church without the Holy Spirit, but you can’t be the church without the Holy Spirit. I stated previously that I wanted to give you the cure before I highlighted the diseases, so that if we recognised that we were being negatively affected by any of the deceiving spirits that come to manipulate any places of brokenness that we may still have in our lives we would know that there is a way back home. Our Father wants everyone to come home, to where he has promised to heal all of our diseases. If we are born again the demonic only has access to our soul and only if we allow it. Jesus promised us rest – ease – for our souls, when we come to him and learn from him. I have met some folks who think the answer for the church is to have no leaders but there will always be leaders, and so if you clear out the God-appointed leaders you will create a vacuum that will be filled by self-serving leaders. Last time we were looking at the jezebel spirit and saw how this spirit wants you on a throne so that it can hijack your authority to shut down the true prophetic and roll in the false prophetic – to remove the message of the Cross which fundamentally begins with the message of self-denial. It has been said that if self is on the throne then Christ is on the cross, but if self is on the cross then Christ is on the throne. It was actually never God’s perfect will that there ever be an earthly throne with a king sitting on it, but God knew what is in man’s broken heart and that they wouldn’t be able to resist it and so he gave instructions regarding how kings were to behave long before Israel had her first king. 14 “When you come to the land which the Lord your God is giving you, and possess it and dwell in it, and say, ‘I will set a king over me like all the nations that are around me,’ 15 you shall surely set a king over you whom the Lord your God chooses; one from among your brethren you shall set as king over you; you may not set a foreigner over you, who is not your brother. 16 But he shall not multiply horses for himself, nor cause the people to return to Egypt to multiply horses, for the Lord has said to you, ‘You shall not return that way again.’ 17 Neither shall he multiply wives for himself, lest his heart turn away; nor shall he greatly multiply silver and gold for himself. 18 “Also it shall be, when he sits on the throne of his kingdom, that he shall write for himself a copy of this law in a book, from the one before the priests, the Levites. 19 And it shall be with him, and he shall read it all the days of his life, that he may learn to fear the Lord his God and be careful to observe all the words of this law and these statutes, 20 that his heart may not be lifted above his brethren, that he may not turn aside from the commandment to the right hand or to the left, and that he may prolong his days in his kingdom, he and his children in the midst of Israel. There is only one throne that God has ever really endorsed and commended on the earth – the throne of David. David the worshipper recognised that you can’t be God’s people without God’s presence – he valued the manifest presence of God above anything and everything else – and so the first thing he did when he became king was to go and bring the Ark of the covenant back to where it belonged, in the midst of God’s people. Unfortunately, he got out of order in his attempt to follow through because he didn’t consult the word of God first on how this should be done. This is a major error that has been repeated many times in the history of leaders who have a heart to experience God’s manifest presence among his people – they have neglected to consult the word of God and receive his strategy that will keep things on track and on purpose. The Holy Spirit is the main thing, and his purpose is to convict the world of sin, and of righteousness, and of judgement. He comes to anoint and confirm our preaching that reveals the heart of the Father and his desire to locate and to heal people’s brokenness,he comes to deliver the captives and open blind eyes, to bring freedom to the oppressed, to bring salvation and the abundant favour of God to all who will simply believe in Jesus. Thankfully David didn’t quit when he hit the first bump on the road and didn’t create a theology to fit his failure. He went back to the word, discovered and corrected his error, and completed the task amidst great joy and celebration. Jesus said that you err – get it wrong – when you don’t know the Scripture. David built a tabernacle and placed the ark there so that there was 24/7 access to the presence of God for anyone who wanted it, with 24/7 praise and worship and prophetic declarations and ministry. Through the prophet Amos God said that he would rebuild David’s tabernacle – this is the vision statement of Jesus. 18 I will build My church, and the gates of hell (the powers of the infernal region) shall not overpower it [or be strong to its detriment or hold out against it]. The devil is really up against it where there is a worshipping prophetic church. King Jesus is the fulfilment of God’s promise to put someone on the throne of David forever. Jesus is the King of kings, the servant King of servant kings. David was the shepherd king, the servant king. Our security is in our humility – remaining in servant mode. It is when we reach a point where we decide that there is someone – anyone – that we are unwilling to serve that our ministry crashes and burns. As I have said many times over the past twenty plus years, David’s tabernacle represents a heart of worship, a heart after God. A heart after God is a humble heart, a servant heart. The first thing that the Holy Spirit does in our lives when we are born again is he reconnects us to the Father in the closest and most fundamental of relationships. You are a child of God. That should resolve everything, but we have lived so long as orphans, and even been raised as orphans in the church that we need to have all of our orphan issues healed and our revelation and experience of sonship restored. Jezebel [this was a real person whose name is now forever associated with a spirit that had existed long before she came on the scene] suffered rejection by her father Ethbaal as she was used as a bargaining tool when she was given to Ahab as a wife in order to broker peace between the Sidonians and Israel. How would that have made her feel? She had an orphan spirit, and so she brought her proud and permissive pagan culture with her as her security along with all of its idolatry and immorality and false prophetic. In this year of worship in spirit and truth it is important to understand that even David the worshipper – whose heart was after God – made errors of judgement. We need to acknowledge this so that we don’t become puffed up and begin to think of ourselves more highly than we ought to think. As I have been meditating on the word in regard to this series I have begun to realise the benefits of closely examining and studying the events of David’s life as encouragement and also to help identify indicators of dangerous hazards that can help us steer clear of trouble. In 2 Samuel 11 we find David having become comfortable on his throne so that at a time time when kings to go to war he stays at home in the palace. As he is taking stroll on his balcony he sees Bathsheba taking a bath. The jezebel spirit whispers, “You can have her. After all, you’re the king – you deserve to get what you want.” What devastation the toleration and allowance of this manifestation of the jezebel spirit unleashed in David’s family. A close relation of this spirit which is also rooted in the orphan spirit is what has become known as the “Absalom” spirit, and it too can cause much harm and damage and destruction when it is allowed to gain ground in the church. Jesus is building his church – a victorious, prevailing, and overcoming church. But the orphan spirit creates a vacuum in the soul and opens people up to accepting lying and deceiving spirits that deceptively offer security and comfort and success. The orphan spirit causes people to think that they are responsible for ensuring their own security and status. But listen to the truth, and let the truth set you free. placed in the church first of all apostles, second prophets, third teachers, then miracles, then gifts of healing, of helping, of guidance, and of different kinds of tongues. 29 Are all apostles? Are all prophets? Are all teachers? Do all work miracles? 30 Do all have gifts of healing? Do all speak in tongues? Do all interpret? 31 Now eagerly desire the greater gifts. Apostles are not first in order of importance or status but they – along with the prophets – are the church’s foundation layers. Then teachers and all of the other ministries arise from the foundation that they have laid. As I have said previously, it is good to aspire to a place of leadership but is not good to covet someone else’s place of leadership. 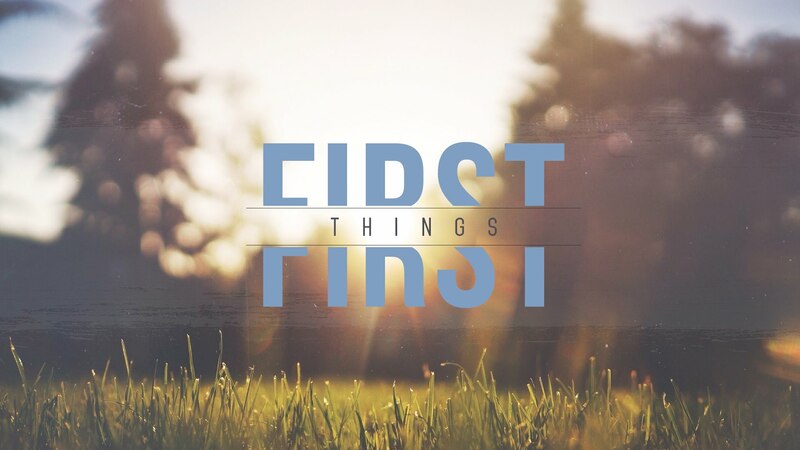 First things first, because the main thing is to keep the main thing the main thing. I have said that we were going to be looking at three specific spirits that seek to infiltrate the church in order to limit the church’s effectiveness and ultimately destroy the church’s testimony. These are demonic spirits but they need people in order to function and operate, and so we must always maintain the importance of differentiating between people and the demons manifesting in their lives. We must be open to the word and the Holy Spirit to search us individually and highlight any places in our lives where we might be under the influence of these seducing spirits. If that becomes apparent then we must respond to the conviction of the Holy Spirit and be quick to repent. We have been given authority over all the power of the enemy and so what successfully comes against us is what we have allowed to have access to our lives. It is our brokenness that is the fertile ground for every manifestation of sin, and so we must believe that we were born again healed – that we have a Father who loves us and will always lead us into what is the very best for us, including the crucifixion of our self life. The jezebel spirit has one purpose and that is to shut down the prophetic voice of God to the church, the prophetic word that keeps the church on track and on purpose, the prophetic voice that is not afraid to challenge kings and to serve notice on their self-exalting and self-serving kingdoms. Jezebel needs an Ahab – someone who is willing to compromise to build his kingdom. King Ahab came second to Solomon in the list of kings of Israel who conquered the most land, which proves you can build a big church and still be under the control and influence of jezebel. But if you allow jezebel to continue its manipulating and controlling ways it will always defile and ultimately destroy every work that had the potential to glorify God and extend his kingdom. I have personally witnessed this on several occasions. Our vision should not primarily be to grow a large church in one location but to plant out many local churches – regardless of size – in many locations across our region and beyond. Jezebel works to shut down the spread of the true apostolic and prophetic church and replace it with a neutered or castrated version that promotes jezebel’s agenda and feeds from jezebel’s table. Jezebel’s prophets feed you false flesh-promoting prophecy to puff you up and feed your wounded ego, but there is no true protection in false prophecy and so you are easily taken out and removed – just like what happened to Ahab. Insecure people looking for position and status – even though they may hide behind a facade of false humility – are primary targets and victims of this spirit. They then get as close to a leader as they can and exploit any Ahab tendencies and corrupt their success as happened when Jezebel illegitimately and viciously procured Naboth’s vineyard for Ahab. Remember, when a minister stops serving people he is no longer worthy of the name. Anyway, enough of jezebel. Let’s move on to the tragic and unnecessary consequences of yielding to an absalom spirit. It is always important to remember that we only have one perfect Father because our natural fathers and spiritual fathers will inevitably let us down. Absalom or Avshalom which means “Father of peace” was David’s third son. 25 Now in all Israel there was no one who was praised as much as Absalom for his good looks. From the sole of his foot to the crown of his head there was no blemish in him. The more gifted or naturally talented you are, or the more aesthetically pleasing or charismatic your personality, or the more anointed you are, the more susceptible and vulnerable you can be to this spirit. Absalom was the third son of David. His sister, Tamar, had been raped and then rejected by David’s eldest son and her half-brother, Amnon. If you take time to read the story you will see Amnon is influenced in his actions by a manifestation of jezebel through his friend and cousin Jonadab, a man described as being very crafty in 2 Samuel 13: 3. David loved his family, but in many ways he was a weak and flawed father, and so even though he was angry he failed to deal scripturally with Amnon. As a result, Absalom’s bitterness festered until he came up with his own way of dealing with what had happened and so he planned and ordered the killing of his brother. The whole story is a tragic one on many fronts and highlights the weaknesses and frailties of broken human nature and the often painful and poisonous fruit of that brokenness. Following his brother’s murder Absalom takes off to Geshur for three years. During this time David’s soul longs after Absalom and eventually he allows him to return to Jerusalem but for two years following his return he doesn’t meet with Absalom. Absalom obviously feels rejected by his father David and the bitterness and resentment continue to fester in the ground of the orphan spirit that will eventually give birth to the absalom spirit of rebellion and disloyalty. Old offence at either real or perceived injustice is a common provider of the fertile ground in which the absalom spirit grows. That is why we must become unoffendable if we are to remain free and to enjoy the fullness of the life we have freely received. After two years and a bit of behind the scenes manipulation on Absalom’s part, David calls for Absalom who comes and bows himself on his face before David and David kisses him, a sign of his forgiveness and restoration. However, the seeds of offence are left undealt with in Absalom and soon become full-blown rebellion and disloyalty, leading to one of the most heart-rendingly sorrowful and desperately painful episodes of David’s life. 2 Samuel 15 gives the account of how the absalom spirit operates. Absalom’s bitterness is still not satisfied by his father’s forgiveness and his restoration to his father’s favour. He is still bound by the orphan spirit, and so he formulates a strategy that becomes the biggest threat to David’s reign that he has ever had to deal with. Absalom would sit near the gate of the city and look for people who were discontented or had problems and he would offer them sympathy and tell them that if he were the leader it would all be different. Basically, what he was doing was sowing seeds of disloyalty and stealing the hearts of the people away from the God-appointed leader and transferring the stolen affection to himself. The enemy is subtle and so it isn’t always just what is said. It can often be what is not said. There are times when it is appropriate to say something positive or supportive and honouring of a leader, but if we refrain from saying anything it can be a sign of an absalom spirit seeking to gain ground. Absalom’s strategy was very effective and so even some of David’s top people were seduced by this deceiving spirit. This spirit will always operate close to what it perceives to be the top of the leadership tree but because the person influenced by it has their perspective skewed by bitterness they have no concept of the servant nature of true leadership. Very often the people who allow this spirit to use them will be talented but will also be tainted by bitterness and have a sense of entitlement beyond what they have presently been given which again fuels their resentment. If they are allowed to continue they can split a church with their conspiracy, having sown whispered seeds of disloyalty in the hearts of those who are already experiencing a level of discontentment and even supposedly jokingly alluding to how different things could be if only they were the leader. The tragedy is that like in all situations where someone allows themselves to be led captive by the devil the division and destruction and the hurt they cause inevitably causes the greatest hurt to themselves. That is what happened to Absalom because that which made him attractive and was a source of pride for him – his long hair – became what entrapped him and led to his death. Absalom’s pride was his downfall as his talent masked his bitterness, but the thief only ever comes to steal, to kill, and to destroy. Absalom uncovered himself in his rebellion and even though David’s father heart and will was expressed towards him in his clear instructions for Absalom not to harmed, he had exposed himself to treachery through his own treachery. Jesus said blessed are the merciful for they shall obtain mercy, and scripture is clear that we will reap what we sow. One of the saddest cries contained in the record of God’s word is that which comes from David when he hears of Absalom’s death. David wasn’t a perfect father by any means but we hear his heart after God’s heart in his cry. The incredible and awesome and mind-blowing reality is that our Father in heaven did exactly that. That is why our broken heart can be healed, and we can deny ourselves, die to self, give up all our offence with its bitterness and resentment, submit ourselves to God, resist the devil, humble ourselves under God’s mighty hand, rejoice in our adoption as sons, wait for him to exalt us in due season, and doing everything from a place of rest – no longer living as a man of dust but with the nature of the heavenly man. How do we shut the door to absalom? The same way as to every other deceiving, seducing, and destructive spirit. 13 For you have been called to live in freedom, my brothers and sisters. But don’t use your freedom to satisfy your sinful nature. Instead, use your freedom to serve one another in love. We have a perfect heavenly Father who wants us living in the freedom of our new nature – the nature of the heavenly man. If Joseph could serve in Egypt, and Daniel could serve in Babylon, then how much more can we who are born again with the nature of the heavenly man serve all people in all circumstances until we see the King of kings kingdom come and the Lord of lords will done on earth as it is in heaven.